Depot Tire & Auto Service Center, Inc. is a full-service tire dealer and auto repair shop located in Fox Lake, IL. We are family owned and operated and are conveniently located across the street from the Fox Lake train station. We pride ourselves in being your professional, one-stop shop for auto repairs and tires. Our ASE-certified technicians service most makes and models.We specialize in the following areas: Diagnostic & Engine Repair Tires & Alignments Exhausts, Brakes & Suspensions Maintenance & Preventative TransmissionsWe take a consultative approach when servicing your vehicle, and our commitment is to provide our customers with honest and quality repairs. When you choose Depot Tire & Auto Service Center, you'll find that our services and products offer superior performance and provide the highest level of integrity. We feel very comfortable answering any questions you may have about tires and/or any issues with your vehicle.Call us today as we look forward to the opportunity of serving you. 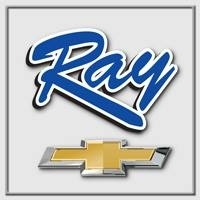 Ray Chevrolet has hundreds of new models in stock!